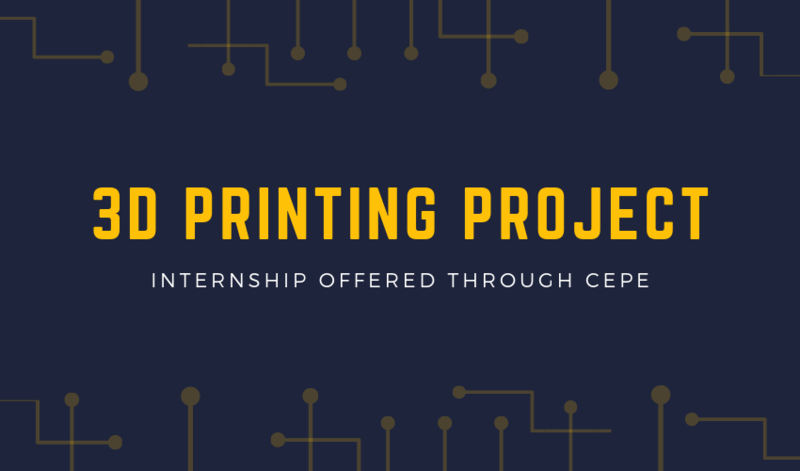 In 2018, students at HCC were given the opportunity to apply for the 3D printer internship offered during the long vacation through the CEPE. 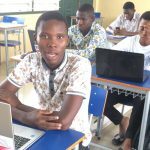 They were to be supervised by Mr. Alexander Asmah and Mr. Jojo Lartey. In all, 14 students applied and in the end, the project was made up of eight students ranging from levels 100 to 300. These included Foster Abavon, Deji Adegoroye, Diana Asare, Michael Ampfof, Zion Awuku, Ruth Harris, Byron-Lee Asare, and Comfort Awuah. Although a background in software development and software engineering is important for students who want to program a 3D printer, the students are all studying different fields and had their own reasons for pursuing the internship. 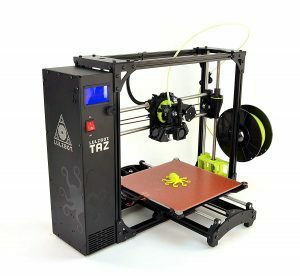 “lulzbot Taz 6”: The model of printer used by the students. Foster Abavon is a level 300 student studying accounting in business administration. He joined the 3D printer project to develop his teamwork skills. His curiosity about the 3D printer on how it works was one major reason he signed up for the project. He also joined to get experience outside his field of study. Ruth Harris is a level 200 student studying information technology. She joined the project to learn by experience how a 3D printer works and what it does and also to give her an advantage when she takes the course in level 300. The students were tasked to bring out and prepare ideas on how to create business opportunities from the 3D printer. The team came up with a concept to design and sell the printed objects to students of HCC and to the neighboring communities. After deliberation, they settled on designing and selling objects such as laptop stands, key holders, cup holders, phone covers, and shirt hangers. The team also planned to collect plastic bottles and bags to recycle and transform them into their useful products. Initially, the students had to print a default design that came with the printer. The design, named “Rockopus,” was in the form of an octopus. Later they printed phone stands, phone covers, and a plastic vase. Products from 3D printers can be produced out of many different materials. These materials are called filament. There are over ten types of filaments and they can be recycled plastics or rubbers. The specific filaments used during the project were ABS and PLA, both of which came with the 3D printer and both of which are part of the plastics family. Other materials, such as sand, wood, metals, carbon fiber, and organic tissues (and the latter also comes in the form of filaments) can also be used, but were not used during this project. West Africa is a potential market for 3D printed products, especially in the mechanical and technological market. Potential buyers of these products are organizations that assemble mechanical and digital products, as well as the average consumer, because consumers can use these printed products in their homes and workplaces. As was mentioned previously, the best kinds of products for manufacturing on 3D printers are digital accessories. These can include computer monitor stands and phone covers, as well as housing units and containers for digital accessories. The size of the 3D printer also has to be taken into consideration when deciding the kind of products to manufacture. In this project the “Lulzbot Taz 6” was used. This model can print an object with dimensions of up to 280mm x 280mm x 250mm. Other products produced are portable shirt hangers, rubbish collectors, vases, flower pots, and office accessories, such as pen holders, cup holders, and key holders. The question often arises as to how one would go about making a living off a 3D printer. First of all, one needs to own a minimum of two printers. That’s because 3D printing of certain objects can take a substantial amount of time if the project does not have a simple design. 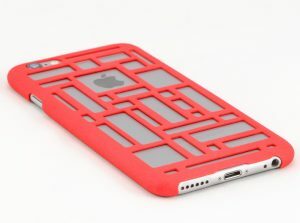 For example, printing an I-phone 7 cover can take a maximum of 3.5 hours on standard speed, but printing time is really dependent upon the kind of design the cover has. As one might imagine, there are some challenges in assembling and programming a 3D printer. Connecting the numerous cables into the right sockets posed quite the challenge for the team, but with good supervision and enough time spent perusing the manual, the team was able to figure it out. The printer came with a built-in software, so programming it was a non-issue. However, getting the temperature of the nozzle and bed just right was a challenge. The team conducted research that led them to deduce the surrounding room temperature in the room was a contributing factor. Knowing this, they were able to remedy that challenge. A repeated problem that arose after initial setup was the design of the objects on the 3D design interface. At times, when the design was put into the 3D printer software (cura), the measurements of the object would get distorted. The team worked together and eventually were able to determine the perfect measurements for the 3D printer software. These are just some examples of the problem-solving exercises posed by the school’s 3D printer. Having this resource has been a boon for HCC. As with many endeavors, the journey itself can be the destination. Working through the challenges becomes the whole point of the enterprise. Good things do come in threes, and for grads of HCC, good things will come in fours, fives, and sixes as well, as they continue to leverage their education and their opportunities.